Park City School District is proud to support CONNECT as its hosts a month of events in throughout Summit County focused on mental health awareness. 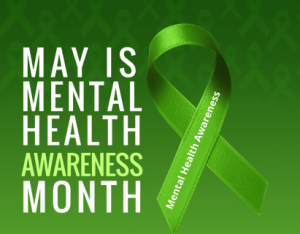 May is national Mental Health Awareness Month and CONNECT has 18 events planned on topics such as mindfulness, social media wellness, opioid epidemic, aging, depression, and eating disorders. CONNECT is a grassroots, non profit community advocacy organization that brings together residents who are concerned about mental health issues facing our community and who want to see improved mental health services with greater accessibility in the county. Wednesday, May 2, Park City High students will take part in “Ask Me Anything Night,” a question/answer session beginning at 5:30 p.m. at the Park City Library’s Jim Santy Auditorium. Pizza and dessert will be served. Those taking part in the interactive, cross-narrative discussion representatives from CONNECT, Park City Library Teen Advisory Board, Latinos in Action, iMPACt/Park City High Hope Squad, and the PCSH Gay-Straight Alliance. Student speakers, who also presented at Tedx Youth Park City, include: Piper Moeller: What Does a Drug Addict Look Like; Saide Ortiz: Battling Cultural Stereotypes; Natalie Fink: A Piece of my Soul; and Lexi Laufer: Let People Love. Thursday, May 3, features “Social Media Wellness: Understanding the Intersection of School, Stress, and Social Media.” Author and national social media expert Ana Homayoun will discuss how to better understand the new world of social media socialization and offer practical tips on how making better choices around social media use and overall wellness. The event begins at 6:30 p.m. at the Park City Librarys Jim Santy Auditorium. Monday, May 14, Park City School District is partnering with the Summit County Sheriff’s Office and Communities That Care to host “Front Line and Blue Line: Parents and Police Working Together.” The event begins at 6 p.m. at Ecker Hill Middle School and is open to parents. Sheriff Justin Martinez will address school safety, Lt. Greg Winterton will talk to parents about drugs and harmful substances, and Sgt. Ronald Bridge will talk about electronics and the Internet. Following the speakers, community resource booths will be available to parents. Free childcare will be available for children ages 4-11, and students will receive an incentive if their parents/guardians attend. 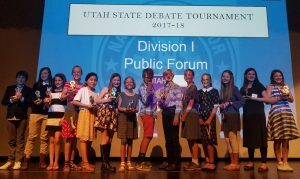 Twenty students from fifth- and sixth-grade competed Friday, April 27, at the Utah Elementary State Debate division 1 competition at Alta High School, winning multiple awards among the 60 teams participating. The competition consisted of teams from Salt Lake, Granite, Jordan, Canyons, and Park City School Districts. The Board of Education has selected a 12-member committee to assist in hiring the next Superintendent of Park City School District. “We had many qualified candidates and did our best to create a mix of individuals who represent the community and district,” said Board President Andrew Caplan. The committee consists of six district employees and six community members. Individuals will attend an orientation meeting the evening of Friday, May 4, conducted by HYA consultants who will outline the interview process and coordinate questions as well as the schedule and format of the interviews. Superintendent candidates will be interviewed on Saturday, May 5. 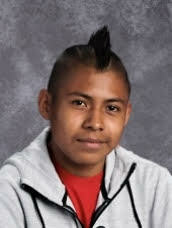 Jorge Luis Tlasmanteco Vasquez, a ninth-grade student at Treasure Mountain Junior High School, has been selected as Utah Student of the Year. The award , which comes with a $5,000 scholarship, will be presented by Gov. Gary Herbert on May 2. Vasquez, who was selected from hundreds of nominations statewide, is a member of the school’s Latinos in Action and plays on the Park City High soccer team. He was selected for his leadership inside and outside the classroom, for making a measurable, meaningful improvements in the lives of others, for exhibiting a love of learning, for encouraging learning in his peers and classmates, and for exemplifying a culture of respect and learning. Author, speaker and Harvard Business School professor Clayton Christensen will be the keynote speaker for the evening. In addition, to Vasquez’s award, an Educator of the Year, Administrator of the Year, and Partner in Education will also be announced. The dinner will be held from 6-9 p.m. at the Union Event Center, 235 N. 500 West, Salt Lake City. The award are sponsored by the Cicero Group as a statewide celebration of public education. The Park City School District Board of Education hosts monthly informal meetings so that it can engage parents and members of the community. The following items were discussed April 18 at Trailside Elementary School with board member Petra Butler. The board recently approved the appointment of David Gomez as Interim Superintendent. Mr. Gomez was previously the principal at Parley’s Park Elementary. Dr. Ember Conley began conversations a few weeks ago with the board regarding her transition as the new superintendent of Mesa Public Schools. She felt it was in the best interest of the district to appoint an Interim Superintendent. Mr. Gomez will remain in place until a new superintendent is officially on board. The board met last Tuesday with HYA consultants, who are conducting the national search for a new superintendent. Butler said the board narrowed the field from 30-40 candidates to less than 10 semi-finalists. The board is appointing a 10-member committee comprised of five employees and five community members to assist in the selection of the next superintendent. Semi-finalists will be interviewed May 5. The candidates will be interviewed by both the committee, and by the board. Finalists will be selected, with interviews set for May 18. A parent asked for an update on a potential fifth-, sixth-grade campus. Butler said the board is focused on moving forward with the master planning process. The board recently hired NV5 out Denver, Colo., as master planning consultants. Business Administrator Todd Hauber said NV5 will coach the board through the master planning process and bring technical experts on board, as well as forming a steering committee. Hauber said NV5 will find out how the community envisions the district and how that supports the vision of the master plan. Butler said the board is coming to master planning without any agenda. She emphasized that the outcome of master planning will be part of the community long after the board is gone. Currently, the district is providing NV5 with data that it will study throughout the summer. This fall, more intense and longer conversations will occur with the community. A draft of NV5’s plan is expected in January 2019. Hauber said the plan will not look at individual circumstances and facilities but will be the vision that needs to be considered as the board makes future decisions. Butler said NV5 will, in essence, provide the board with a roadmap to move forward. One parent expressed concern about too much testing occuring this time of year. She also asked for an update on where the district is with standardized grading. Communications Director Melinda Colton said the district is just finishing an audit of the actual time students spend testing; that audit will be released in the coming weeks. Trailside Elementary Principal Carolyn Synan said all schools are all looking at standardized grading. A parent said the schools are not showing sustainable progress to close the achievement gap. She feels it is important for programs and assessments to be part of the master planning process. One parent asked why PowerSchool and Canvas do not interface. She asked that there by one system for parents to check. She encouraged the board to have the current software systems evaluated for efficiency and ease of use for parents. A retired teacher reminded the board to be fiscally responsible to taxpayers. The anticipated tax increase combined with a potential bond down the road, he worries that taxpayers will say “enough.” He asked the board to be more frugal with day-to-day spending and to be careful with funding contributed by the community. Butler said the board continues to ask a lot of questions in an effort to be transparent about what it is spending tax dollar on and why it is a necessity. A parent expressed her frustration with the lack of security as parents enter schools. She is appreciative of the remodeling of the front offices that is occurring, but says something needs to be done in the meantime to secure the front entries until the front offices are finished. She asked the board to consider hiring additional personnel to check parents in and out. Butler said the district’s safety consultant recommended against hiring security guards or off-duty police officers. It will be not be effective unless someone is guarding every door that goes into the school. County and city law enforcement have increased their patrols at all schools. A parent asked about the district’s efforts for recruiting difficult to fill positions. Butler said that will be one of the board’s priorities for the incoming superintendent. 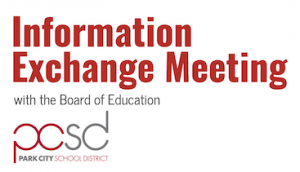 The board’s next Information Exchange Meeting is Wednesday, May 9, at 6 p.m. at the Park City Learning Academy, 2400 Kearns Boulevard. Beginning today, April 23, Park City School District will be administering online school surveys. All parents/guardian of PCSD students are invited to participate. This survey is open today through May 11. The purpose of the survey is to gather feedback about teachers, principals, and schools. Responses are anonymous and no personal information is collected. Results will be given to teachers and administrators and used to improve classrooms and schools. The survey takes about 10 minutes to complete. 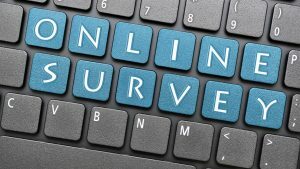 The survey can be taken on any computer or device with web access, or on computers available in all schools. The survey is available in English and Spanish. There is also a link to the survey on school and district websites. Parents/guardians may receive more than one invitation or reminder to take the survey, but are asked to only take the survey once. The board appointed David Gomez as Interim Superintendent. Mr. Gomez currently serves as principal of Parley’s Park Elementary. The board and Superintendent Ember Conley felt it was in the best interest of the district to hire an Interim Superintendent on a full-time basis until the new superintendent is on board. Mr. Gomez has been principal at Parley’s Park since 2012. 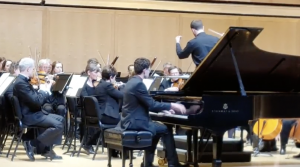 Prior to coming to Park City, he was an elementary principal in Granite and Jordan School Districts, and an assistant middle school principal and an elementary principal in Jordan School District. 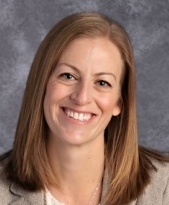 Dr. Conley, who is transitioning to her new position with Mesa Public Schools, is committed to a smooth and effective transition, and will be available to assist the Interim Superintendent and the new PCSD Superintendent once he/she is hired. Tracy Fike will serve as Interim Principal at Parley’s Park Elementary. She is currently the school’s Instructional Technology Coach. School Improvement and Land Trust Plans for 2018-19 were presented to the Board for discussion. The Park City School District Board of Education has appointed David Gomez as Interim Superintendent. Mr. Gomez currently serves as principal of Parley’s Park Elementary. The board approved the appointment at its board meeting tonight, April 17. Mr. Gomez begins as Interim Superintendent tomorrow, April 18. Tracy Fike will serve as Interim Principal at Parley’s Park Elementary. She is currently the school’s Instructional Technology Coach. Caplan said the district’s Business Administrator Todd Hauber will continue to focus on budget and policy issues and Mr. Gomez will focus on academics. Mr. Gomez has been principal at Parley’s Park since 2012. Prior to coming to Park City, he was an elementary principal in Granite and Jordan School Districts, and an assistant middle school and elementary principal in Jordan School District. He has also served as the Educational Equity associate director for Granite School District. 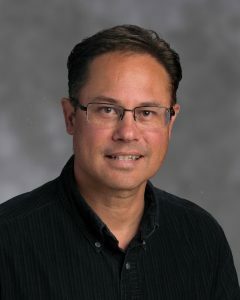 Mr. Gomez began his career with the Utah State Office of Education as an education specialist for at-risk, Title I students. He holds a master’s degree in public school and a bachelor’s degree in elementary education. Mrs. Fike has been the Instructional Technology Coach at Parley’s since 2016 and has been an administrative intern at Parley’s Park, Ecker Hill Middle and Park City High. From 2013-16 she was a reading intervention teacher at Ecker Hill Middle. Mrs. Fike has two master’s degrees, one in instructional leadership and one in business administration, and a Bachelor of Arts. The Park City Board of Education is inviting district employees and community members to form a 10-member committee to assist the board in the interview process for the position of the new Park City School District Superintendent. Members of this committee must be able to be present for an orientation meeting May 4 from 5-7 p.m. as well as present for the interviews on Saturday, May 5. Based on a group size of 10, the committee will be comprised of five school district employees and five at-large community members. Applications are due Monday, April 23, at 5 p.m., and should be sent via email to Board President Andrew Caplan, acaplan@pcschools.us. Those applying are asked to include the following responses to the questions below in your email. Applicants are also welcome to attach a resume with the email. –Why would you like to be on the Superintendent interview committee? –If you have participated on interviews or hiring committees in the past, please tell us about your experience. –We hope to have a mix of PCSD employment length and roles on the committee. Tell us how long you have been employed by Park City School District. –What is your current role and what have your previous roles been? –What is the single most important characteristic for the next Superintendent to possess?Please feel free to include any other relevant information that you wish to share. –What previous experience do you have on interview committees or in hiring personnel? –How long have you lived in the Park City School District? –Do you have children currently in the district or who have attended PCSD schools in the past? If so, please list their ages and which schools the attend/have attended. –What is your current or past involvement in the school district? Please list all relevant participation in committee work, volunteering, and relevant work in the field of education. –What is the single most important characteristic for the next Superintendent to possess? –Please feel free to include any other relevant information that you wish to share.